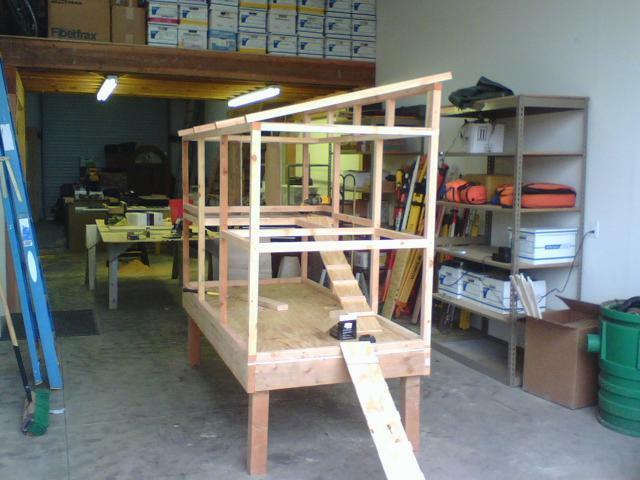 I liked the idea of having it built on an elevated platform, both to keep me from bending over too far while servicing it and to have a shady section underneath for the girls to hang out in. 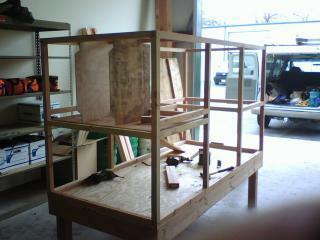 The dimensions were chosen to keep waste minimal using standard sized materials. 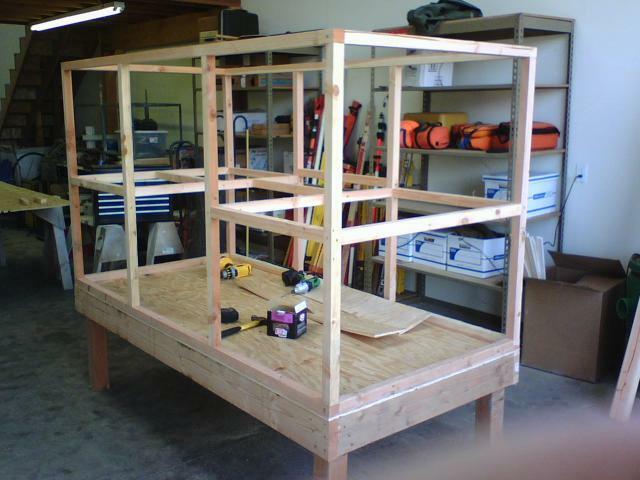 The floor is 40" x 88" allowing a single 4' x 8' sheet of 3/8" ply to be used as the roof. 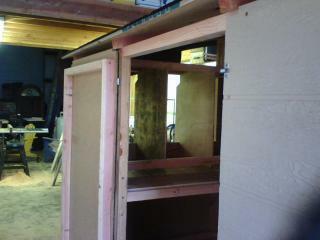 The framing members are 2x4's ripped in half to keep costs and weight down. I wanted it to be somewhat moveable. Most of the weight comes from the T1-11 siding. For some reason I chose to tilt the roof so as to drain the rain down my neck while leaning in the door Doh!!!! The side door for easy access to the nest boxes gets used but not too often. I usually reach in from the front to steal the eggs. I had to add some black plastic over the entrance to the nests to make them darker and more private before the girls would use them. The "hard" door can replaced with a screen door during the hot months using 2 loose pin hinges. 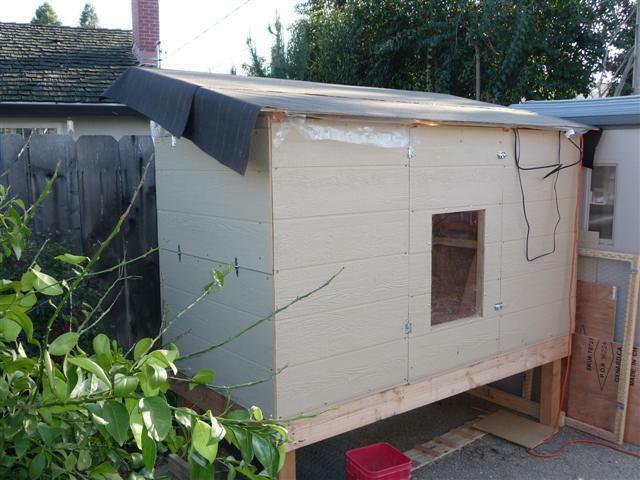 I threw together the run around the coop in a configuration that allows me to have the run closed off before opening the coop. 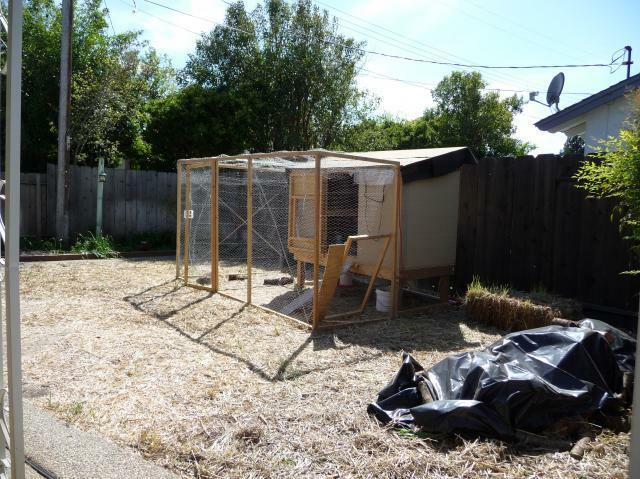 These days they have the run of the whole yard so it doesn't matter but I will eventually move the coop and expand the run so as to contain the chickens and the poop during the day and only let them out while I'm watching them. This will allow us to pretty up the yard a bit without the little roto-tillers destroying it as fast as we improve it. 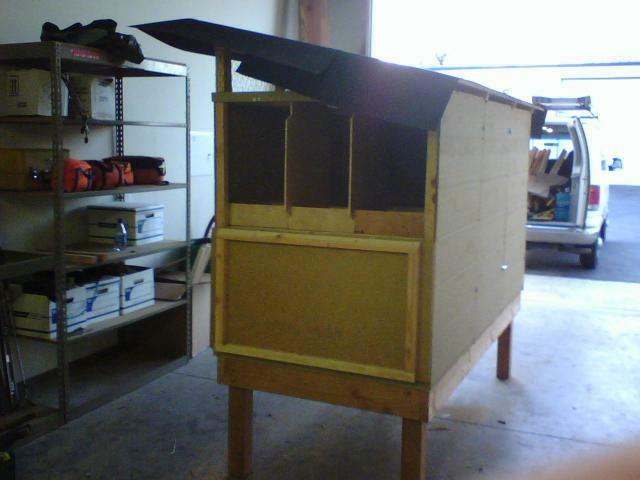 All in all I'm happy with the basic design of the coop but if I were to build another one I would do a few things different.